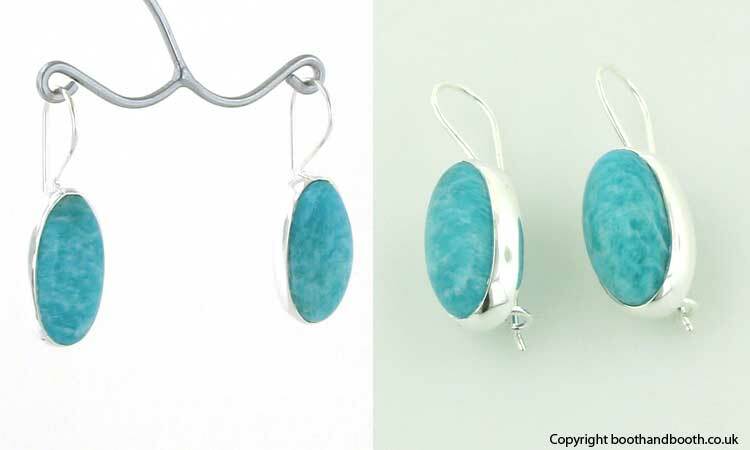 Oval amazonite drop earrings in sterling silver. 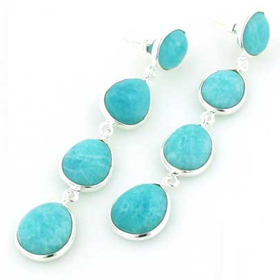 These elegant earrings feature long smooth oval gemstones on a fixed ear wire. 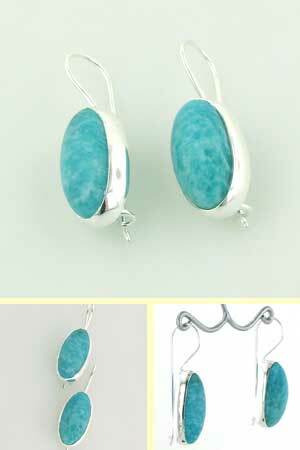 The wire fastens into a safety catch at the back of the earrings. 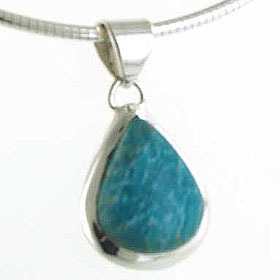 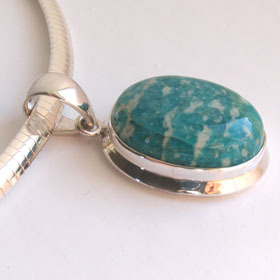 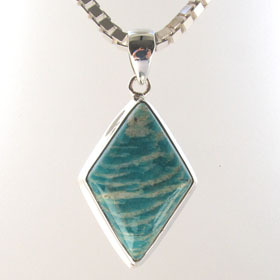 Amazonite is a lively bright turquoise coloured stone dappled with soft paler markings. 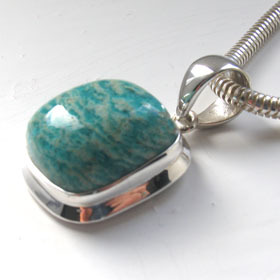 Enjoy free UK delivery on all our amazonite jewellery.